Cookouts and corn on the cob go hand in hand. At least they do in my family! We never have a bbq without serving delicious, buttery ears of corn, and I'm pretty sure if there were a corn cob eating contest, my family would totally win. To free up the grill, and avoid the messy husks, I like to use the oven method of cooking my corn, cutting off the ends, then sliding the corn right out of the husks. Easy as apple pie doing it that way. Normally, we slather on the butter, because it just isn't as tasty without it, then chow down. I have never seasoned my corn, other than a pinch of salt and a dash of pepper, but thought I'd give this Seasoned Corn on the Cob recipe from Golden Blossom Honey a try. The addition of the lemon-pepper seasoning and honey gave it a zest of flavor that I really enjoyed! What is your favorite cookout side dish? I've never ate corn on the cob, but I do love it from the frozen section :) Yours looks so cute with those white parts! Corn on the cob is a summer time classic. We have it with every meal in the summer. That looks yummy! I do like corn on the cob. I just wish it didn't get stuck in the teeth. That looks so good. Corn of the cob is a staple down here in the south, and I can't wait to try this variation. Yum! 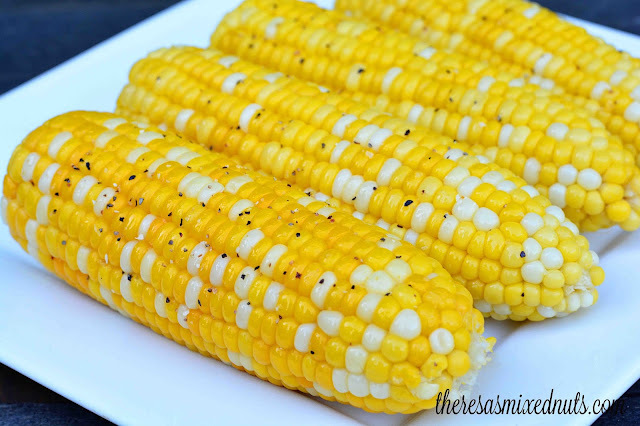 I love seasoned corn on the cob! It's so good to have all those extra flavors infused into it. Yum! We love corn on the cob. Especially when the corn is fresh from our neighbors garden. Yes yes yes - love corn on the cob!!! Perfect for every summer meal! This is perfect as my local farmers market is gearing up! That is where I get the best fresh corn, I can no longer buy it in the supermarket. I cannot wait to try this! I can not believe I never thought of adding a touch of honey to our corn, but you can bet I will be trying it next time. 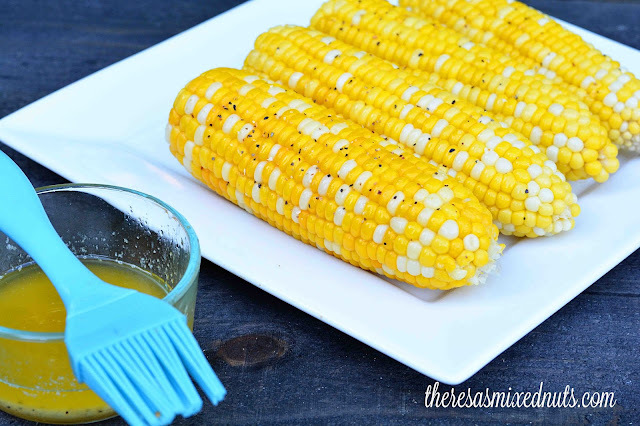 Corn is a true summertime staple! Our local sweet corn is one of our highlights of summer. It's so delicious! This recipe with the honey sounds amazing, I'm sure it adds even more flavor to it! We love corn on the cob. So many great ways to fix it. That corn is gorgeous! I would never have thought to add honey to corn but now I can't wait to try it out! I love corn. I have never tried honey on it, but it sounds super tasty. I love corn on the cob each summer... never thought of putting honey on it but sounds delicious and will have to try it! Huh, I would have never thought to try that, but you bet I am going to give it a go now! Corn on the Cob is the epitome of summer, right? :) This looks and sounds yummy. I've always been partial to nice bowl of baked beans at a cookout! Especially with some bacon in there! We haven't had corn yet here. I am waiting to get it from a local farmer. I used to work a produce department, in the summer I hated corn. It was marked down to next to nothing and we had so many crates. Then people would take the husks off making a mess. This looks so good! Love corn on the cob in the summer! We loveeee corn.. We usuall have it with parmesan and chillies but honey will be a great addition..